preheat the oven to 350 degrees. line a cookie sheet with aluminum foil. set aside. 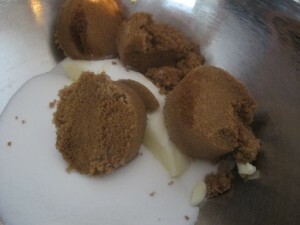 in a large bowl, cream the butter and sugars until fluffy. 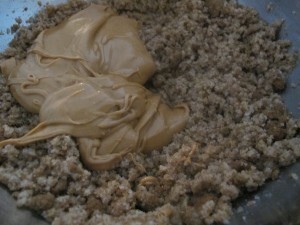 blend in the peanut butter mixing until incorporated. add in the mashed bananas and continue blending. 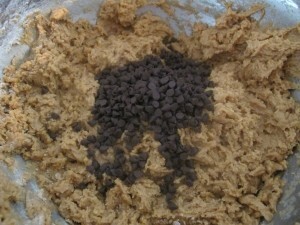 in a small bowl, mix together the flour, baking powder and salt. 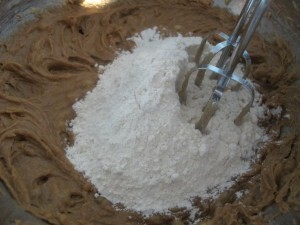 add in half of the flour mixture into the banana/ peanut butter mixture. blend in until smooth. 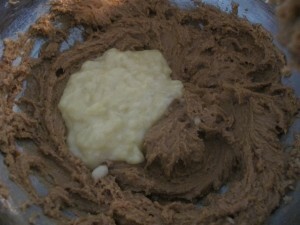 add in the remaining flour and mix until just mixed. spoon a tablespoon of the mixture into your hand. 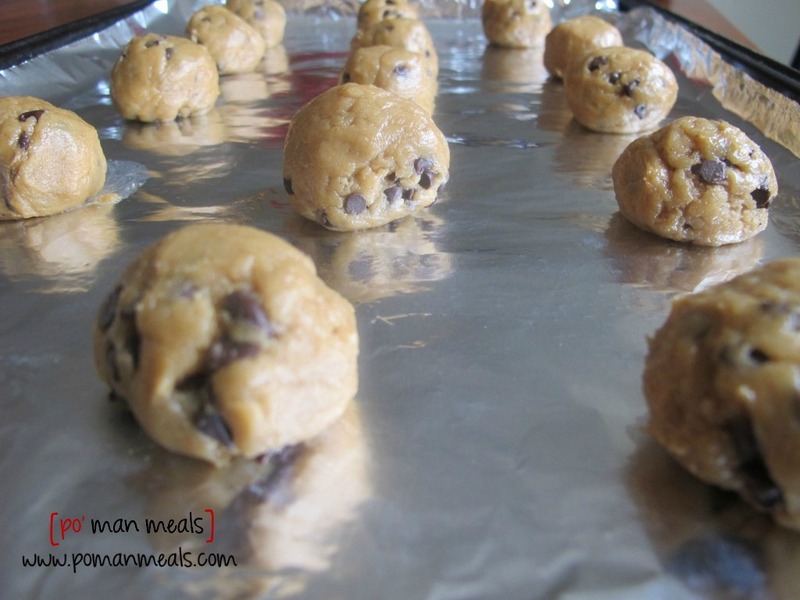 roll the mixture into a ball and place on the prepared cookie sheet. space out appropriately. i added about 16 cookies to the tray for each batch. 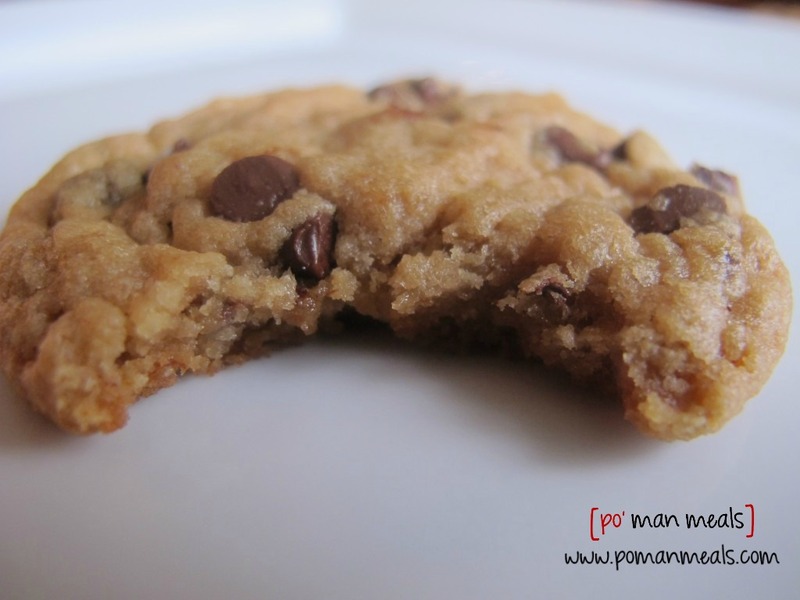 bake in the preheated oven for about 12 - 14 minutes, depending on the size of your cookie. they will be extremely soft when they come out of the oven but will harden as they cool. 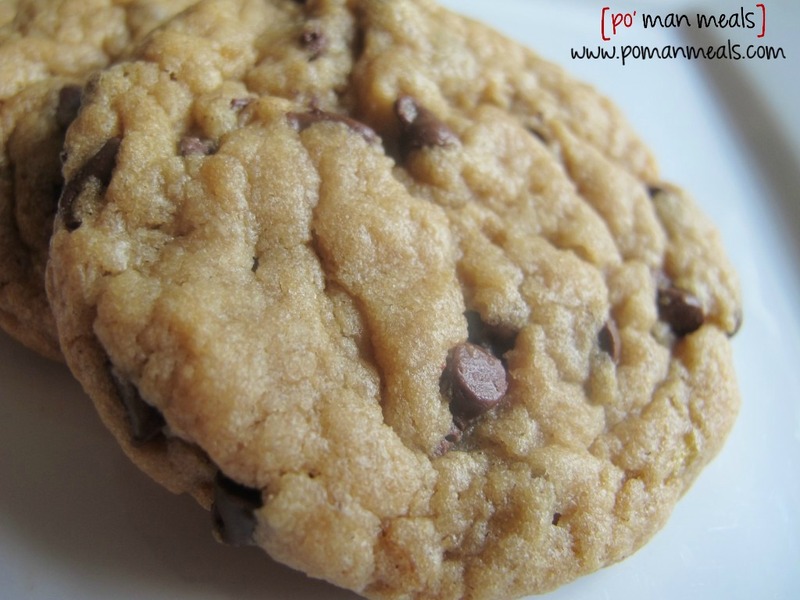 PB & Chocolate are two of my favorite things in the world AND I love bananas – great idea adding mashed banana for a unique flavor and added moisture! 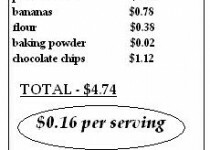 And it’s pretty cool that there’s no eggs in this recipe! Great find! Hi! Just made this recipe tonight! They turned out great! I made mine a little bigger and baked them for ~17 min. They were very soft as you said. I might have cooked them a little longer. Dang they are so good!! Love the banana and peanut butter combo! These look great! Another use for the “older” bananas :). Blessings! How many cups did the 2 bananas resemble to?